Spring Means It's Time For Colour To Come Off The Bench! Finally, the Winter woolies can go back in the draw and the kimonos, caftans and COLOUR can find their way to the front of our wardrobes again! 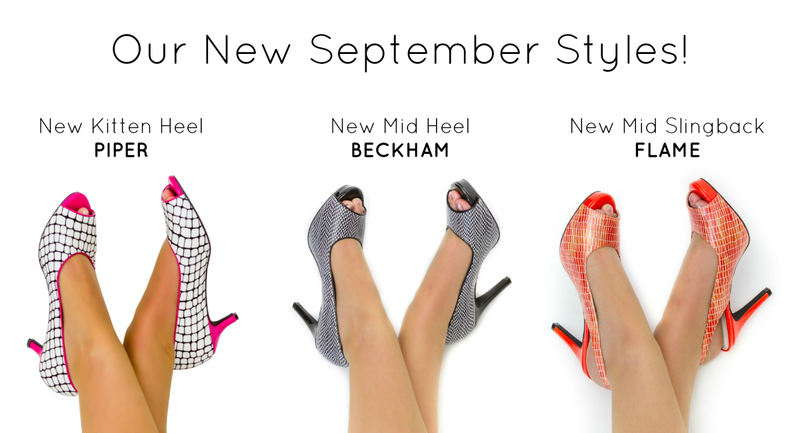 One of the main features launching in September is the release of our new kitten heel! This has been a widely requested style and I have incorporated a new spin on the d'orsay design as I am not really a fan of the traditional look (who really wants to look at the inside of your foot?) So I have reversed it, giving the look of a light summer sandal on outside and keeping the enclosed feel of a regular pump. As a very special addition for this release we have also added the matching clutch! Another first for Scarlettos. We release new styles each month (the 2nd Thursday of each month at 7pm AEST sharp) and I have a huge selection of colours on show, including oranges, purples, (lots of red as we do love a red a shoe), champagne as well as pinks and you'll even see some glitter come through as we hit the Christmas party circuit and start thinking New Years Eve. I hope you love the new designs andI look forward to bringing you more amazing styles! If you are not a member yet and would like to receive launch notifications so you don't miss out on our new styles, join below with your best email address and we will make sure your in know before the public release! Sharing the love of great shoes!